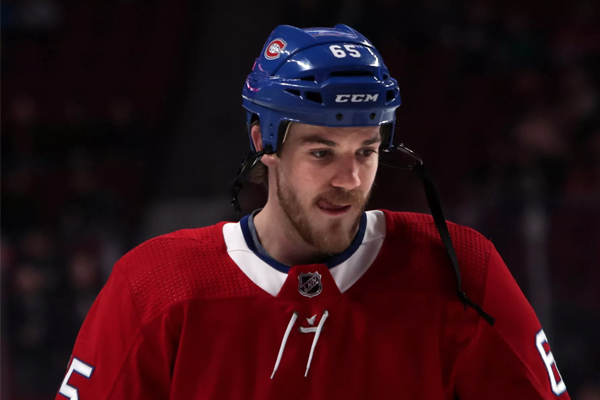 The National Hockey League has reviewed Andrew Shaw’s hit on Columbus Blue Jackets defenceman Adam McQuaid and has decided not to have a hearing with the Montreal Canadiens forward. The hit happened as Shaw was leaving the zone in Thursday night’s game. Shaw and McQuaid collided, and it appeared that Shaw’s elbow was raised. He was handed a two-minute minor for interference on the play, while McQuaid, who has a history of concussions, left the game and didn’t return. After the game, Blue Jackets head coach John Tortorella called the hit “ridiculously suspendable,” but the NHL saw this as unfortunate incidental contact as opposed to a pre-meditated offence. Andrew Shaw has been suspended three times in his career, most recently in 2016. Montreal’s next game is Saturday night in Winnipeg against the Jets.